Planning a shower can be a daunting task - especially since contemporary showers are no longer reserved strictly for female guests to honor brides and expectant mothers. "Spectacular Showers for Brides, Babies, and Beyond" takes the guesswork and anxiety out of planning and hosting a shower. It covers every type of shower party, from traditional bridal, couple, and baby showers to specialty showers for retirements, going-away-to-college, grandparents, and more. The author serves up a generous helping of recipes, practical checklists, and economical suggestions for decorating and catering. Looking to throw a fabulous shower party? You don't need to spend a ton of money or rely on a professional party consultant you can do it yourself! Packed with fun, imaginative ideas, as well as practical advice, "Spectacular Showers for Brides, Babies, and Beyond" takes the guesswork and anxiety out of planning and hosting a shower for any occasion. Unforgettable parties don't just happen. The secret is to map out all the details beforehand so that on the day of the party everything seems to fall magically into place. 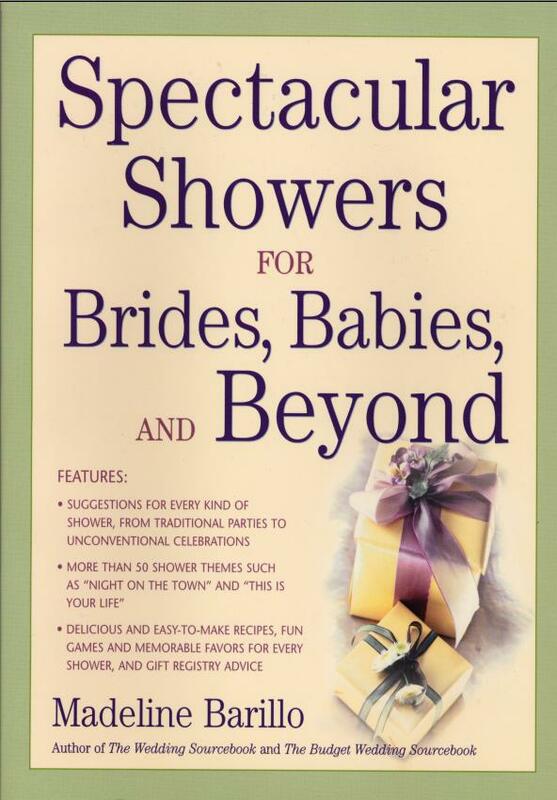 "Spectacular Showers for Brides, Babies, and Beyond" is chock-full of helpful checklists and reminders to ensure that nothing is overlooked. Everything from themes to invitations to menus to party games is covered. More than fifty complete shower concepts are provided, each with specific ideas for gifts, favors, and decor. There's also a generous helping of recipes; advice on seating charts, guest lists, and shower etiquette; and economical suggestions for decorating and catering. Today, showers are held for every possible life transition, including weddings, births, anniversaries, retirements, career changes, relocations, and much more. No longer reserved strictly for women, showers now include men and children. Essential affirmations of love and life and social unity, shower parties help people celebrate good times or triumph over hard times. Whatever the occasion, "Spectacular Showers for Brides, Babies, and Beyond" will make your party a memorable one.